Not only is it free but there is a contest for a free skein of yarn to go with the pattern. Follow the link and read the blog to find out all the details. I always get so excited when I see my yarns knit up. I love them in the dye pot and skeined up but it’s particularily thrilling to see what someone’s creative mind and nimble fingers can knit with them! Hunter’s sock patterns are lovely. They are so knitable and wearable. I’m anxious to get started on my own pair of Gramery……..Thanks Hunter! P.S. 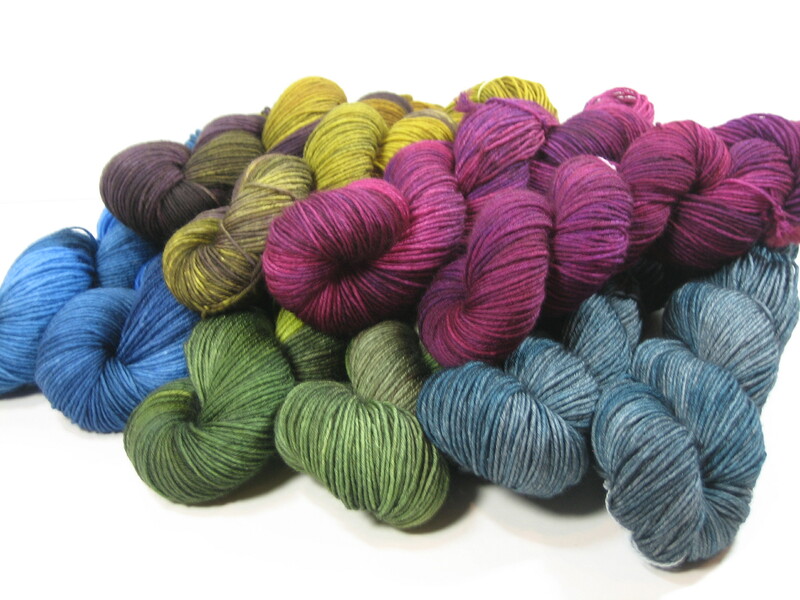 – This is perfect timing since new stock of Sock Plus 8 is on its way in larger 120 gram skeins.